The second Perigeo album continues where the debut left off, combining early Weather Report's mystic atmosphere with the occasional Mahavishnu shredding and a delicate Italian touch. The album confirms the potential of the debut but fails to surprise or to surpass the previous material. The opening Non Tempo da Perdere is spot on though, a superb melodic fusion song with breakable dreamy vocals. Just as with the other Italian fusion supergroup Area I find the vocals to be one of the most attractive elements. Even if Giovanni Tommaso's sad-romantic vocals are entirely different from the crazed obsession of Area's Demetrio Stratos, they really add a special flavor to the band's sound. The album offers a varied set of jazz pieces of which the lightly dissonant Deja Vu, the groovy Rituale and the dramatic title song are the best. Also the electric guitar and piano interplay of Nadir works out right, even if it is a bit derivative of Mahavishnu Orchestra. The closing Vento, Pioggia e Sole is a fairly standard fusion jam, lacking some of the melodious mastery of the other compositions but still inspired. 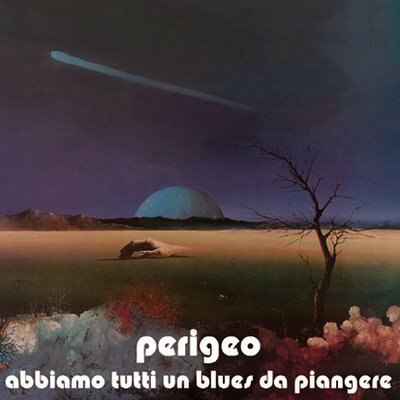 If you're on a mission to find new Italian fusion masters, Perigeo won't be your next Area but they are certainly a band with a personal sound, soulful playing and excellent song writing. At least their first two albums are a great addition to any fusion collection.